Why I don’t use the Low-Noise Propellers anymore! I bought a bunch of the Low-Noise Quick Release Propellers for my Mavic Pro – but I have decided not to use them. The reason comes further down in the review. But first a short introduction to why I bought them in the first place. Many times, I wish my drone could be more silent. The buzzing noise of the rapidly rotating propeller blades can be a bit annoying to people around. Sometimes you want to be able to fly without people spotting the copter. In other settings, like when I fly in remote places like a huge forest, the sound is a good indicator of when the drone approaches and makes it easier to spot before landing. 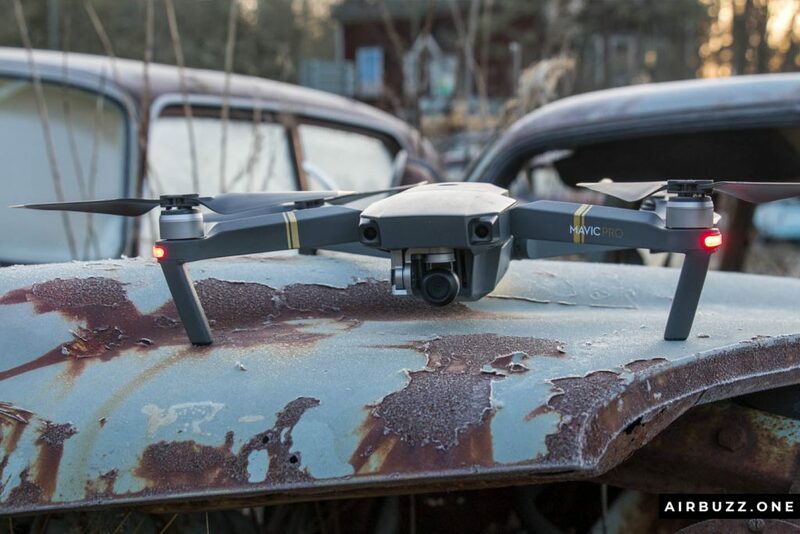 Remember to read: Drone pictures of Båstnäs Car Cemetery! I have bought several packages of the new low-noise quick release propellers for my Mavic Pro. Mainly because I wanted the drone to fly quieter. 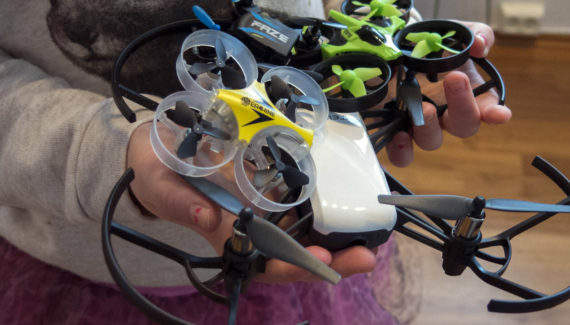 They were introduced to the marked around the time the Mavic Pro Platinum version came, and they were notoriously difficult to get a hand on in some periods of time. Bunch of new blades with gold and silver tips. 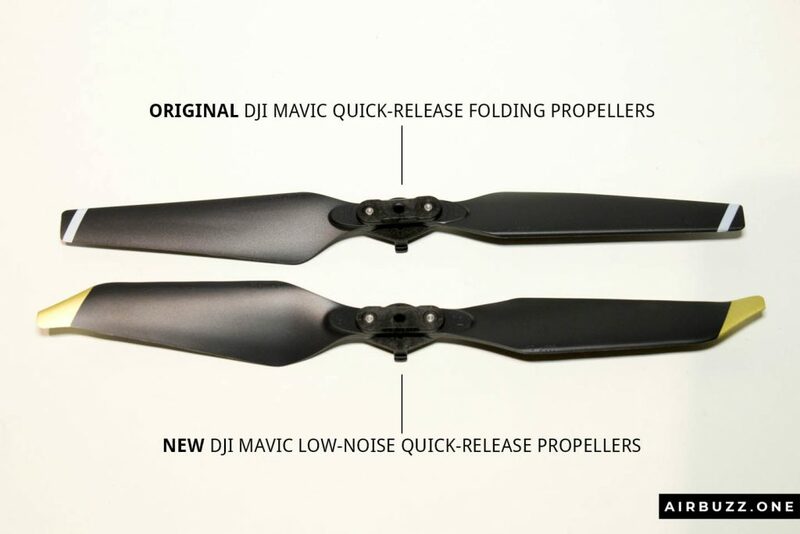 What is the difference between the Mavic propellers? 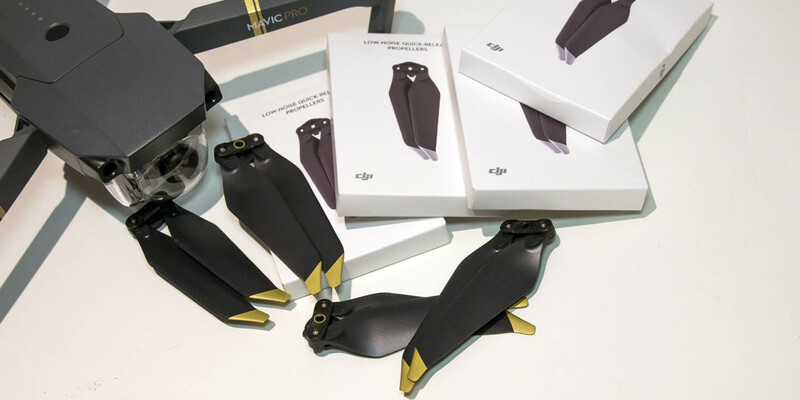 Comparison of the DJI Mavic propellers. They weigh about the same, 7 grams. At least that was what my inaccurate kitchen weight managed to measure. 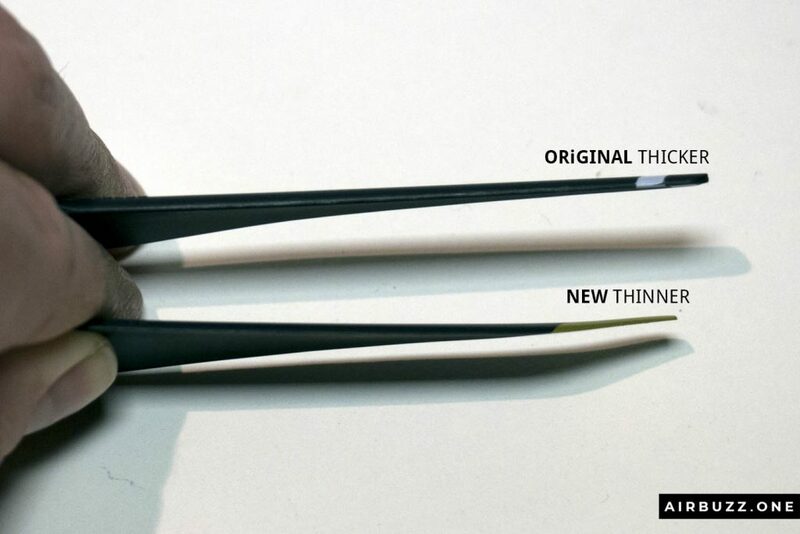 The new one is made with a new aerodynamic design, feels thinner, is a little bit wider and the tip is much slimmer than the original. The tip is actually so thin that it breaks off easily if you are not careful. The new blades are both thinner and a little bit wider than the originals. The original pieces have a stripe of color at the blunt end tip, but the upgraded versions have a fully colored tip in either gold or silver color, curved to one side in a narrow tip. The length of the low-noise blades is about 3 mm longer than the original blades. The quick release fastening mechanism is the same which means they fit both Mavic Pro and Platinum, even if they are originally intended to fit the Platinum. I wanted the buzzing noise to be lower (silent flight). Looks a little bit better. Longer battery life (not tested). I have used the new propellers for a while now, mostly for the sake of good looks and a slightly longer airtime. I am however uncertain that the noise level has decreased. I can’t actually hear any difference with my ears…. maybe if I had a measuring tool, which I don’t have. You can hear that the sound is slightly lower, at least in the tone, but it is not as much as I hoped for. But the noise level is still not the reason why I stopped using them. When I visited the car graveyard for a nice morning flight photographing abandoned old cars, I suddenly got a warning on the remote that the gimbal experienced unusual vibration. I looked at the live view on my smartphone screen connected to the remote controller but didn’t notice anything unusual at the moment so I kept going. I continued to take pictures. It was when I lowered the drone ready for landing I noticed that the camera gimbal was shaking badly. The quadrocopter itself was st as usual. I was worried that this had been a problem for quite some time and I haven’t noticed it. I hoped my pictures was not blurry and useless. The morning light was so perfect and nice. I remembered that I once had a problem with blurry drone pictures on the ice during winter. A little bit annoyed I checked that all the propellers was fine and not damaged after I landed the craft. They all seemed fine and I couldn’t spot anything unusual. I was unable to find the cause of the shaking. But, to be safe, I changed back to the original blades and then the shaking was gone. They caused the drone and camera gimbal to vibrate. Vibration warnings on the remote. Difficult to determine whether the sound level decreased in practice. What do you think? Is it the propellers or is it something else? I have later read on forums that other people also have had problems with the new propellers. A theory is that they are so thin, they could start vibrating by interference only by the slightest damage that is not possible to see with the bare eyes. Or it has something to do with the RPM. I still have a pile of the new propellers in my box of spare parts… and I would like to use them. I’m interested in hearing your opinion! Please write down your comment below. 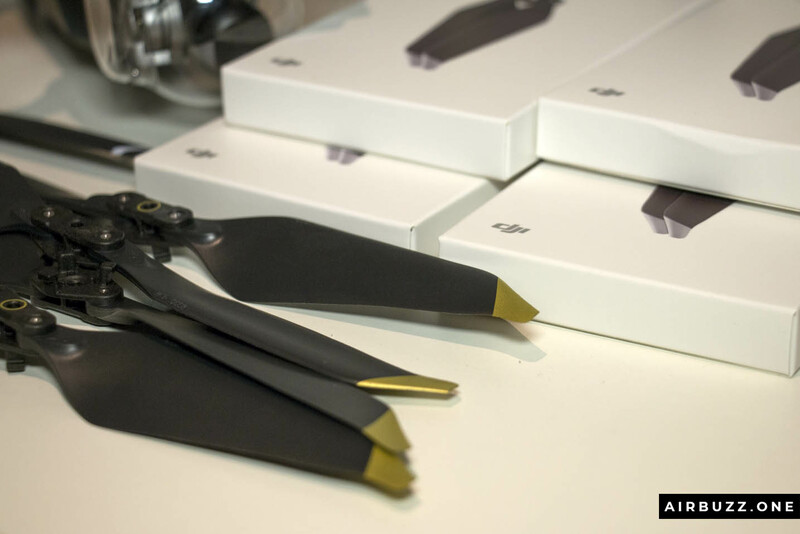 I now recommend buying the ordinary DJI propellers for spares to people asking me what to buy. Actually I really want the buzzing noise to be lower than normal because it is just really disturbing. But man you had many problems with low noise propellers and I hate if these happen to me. Do you think is there any alternative to my problem? Do you have any good solutions for this? 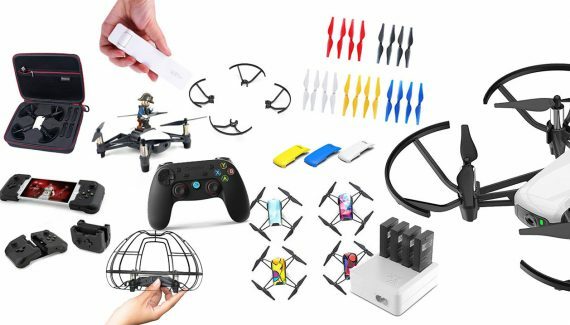 Good advice, I haven’t bought a drone yet, but have just started to do some research on adding one to my collection for my photography, and would have just assumed the low noise propellers would have been better, but after reading your blog, I think I will stick with the original. Hello, I attended a rotorcraft conference some year back, and one of the presentations was on reducing noise from helicopters (noise levels are a major factor in heli operations in Europe). One of the conclusions that I remember to this day is that noise and vibration are always trading off against each other. By reducing noise you are increasing vibration and vice versa. This is something that should be researched at the UAV level in terms of finding a happy medium between the two. Cheers. Problem shown in the first minute, long explanation / how to, fix shown at 12:30 with gain settings. I have the genuine Paltinum low noise props on my Mavic Pro, no issues thankfully.